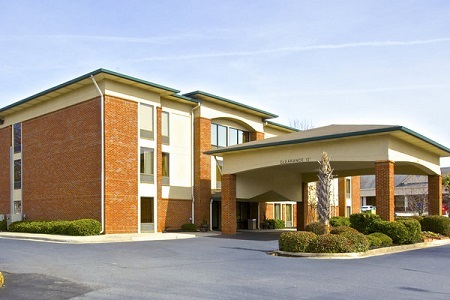 Conveniently located off GA-400, the Country Inn & Suites® by Radisson, Alpharetta, GA makes an ideal home base for business guests and family vacationers alike. 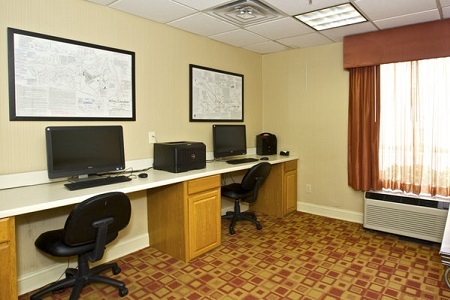 Our business district hotel places corporate travelers just minutes from major offices like Microsoft and Honda, while families are less than 30 miles from popular Atlanta attractions like the World of Coca-Cola, the Georgia Aquarium and Six Flags Over Georgia. While exploring the local area, you can enjoy a day of retail therapy at North Point Mall, hit the walking trails at Webb Bridge Park or go for a jog at Big Creek Greenway, all just minutes away. 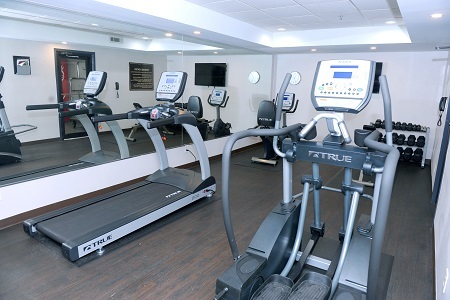 Learn more about our hotel amenities and services. Traveling with children or a group? 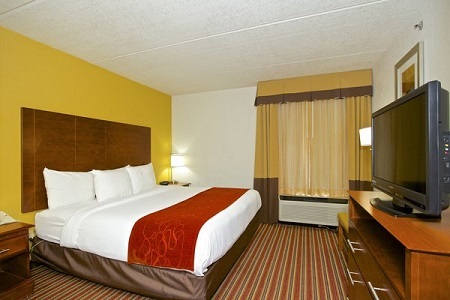 Book our Premium Suite, which features two double beds and a kitchenette equipped with a stove and classic diningware. Wake up to the smell of our free, hot breakfast, served daily. Enjoy a tempting selection of eggs, waffles, fruit and cereals, and complement your meal with a warm cup of coffee or a fresh glass of juice. For lunch or dinner, try one of the nearby restaurants like Atlantic Seafood Company, which serves creative sushi rolls as well as fresh lobster, crab and fish entrées. World of Coca-Cola - Head about 22 miles south to this famed museum, where you can browse pop culture galleries and sample an array of Coca-Cola products. Don't miss posing for a photograph with the beloved mascot, the Coca-Cola polar bear. Georgia Aquarium - Make the 28-minute drive to the aquarium to view thousands of animals, including fresh and saltwater marine creatures. Take advantage of special encounters where you can get up close with penguins or go diving with whale sharks. Six Flags Over Georgia - Throw your hands in the air on a thrilling coaster or catch a live show at Six Flags Over Georgia, just 30 miles away. This 290-acre amusement park also features a water park for visitors looking to beat the Georgia heat. Hosting a training seminar, business conference or interview session in Alpharetta? The flexible meeting rooms at the Country Inn & Suites are ideal for accommodating up to 112 guests and come equipped with extras like audiovisual equipment and free Wi-Fi. Turn your event up a notch in our 1,350-square-foot Mansell B Room, which features a small dance floor, perfect for birthday parties, bridal showers and other lively gatherings. 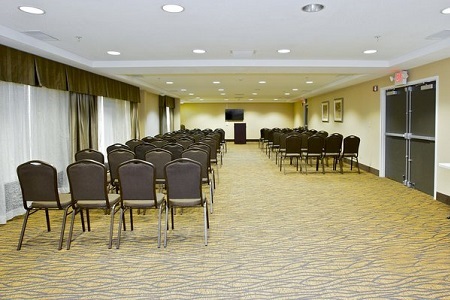 Learn more about our hotel's meeting room.